We’re gearing up for the #SMDay celebration with Mashable tomorrow (June 30th, 2016) at Splash NYC and in honor of the celebration two of our feedfeed community members, @linneajohanssonnyc and @xxgastronomista teamed up to create some signature Ice Pop Cocktails! They were kind enough to share the delicious and refreshing recipes so you can enjoy them at home over the 4th of July Weekend. For more amazing recipes and ideas be sure to follow Linnea Johansson, a New York based chef, food stylist & cookbook author, on Instagram @linneajohanssonnyc, and check out her blog, here. And for all things cocktails and mixology, make sure you follow Emily Arden Wells, editor and founder of the cocktail and travel blog Gastronomista on instagram @xxGastronomista. Now on to the cocktails! Add the rhubarb, sugar and about 1/2 cup of water to a sauce pan. Simmer till the rhubarb is soft. In a blender, add the strawberries, rhubarb mixture, elderberry extract and lemon juice. Blend to a puree. Pour into popsicle molds or popsicle ziplock baggie and freeze for about 8h. To make the syrup, bring all ingredients to a boil and stir until sugar dissolved. Let cool. Strain into a glass bottle and store in the refrigerator for up to 6 weeks. To make the cocktails, combine syrup and vodka and stir. Add ice pop and top with soda water. Garnish with fresh basil. 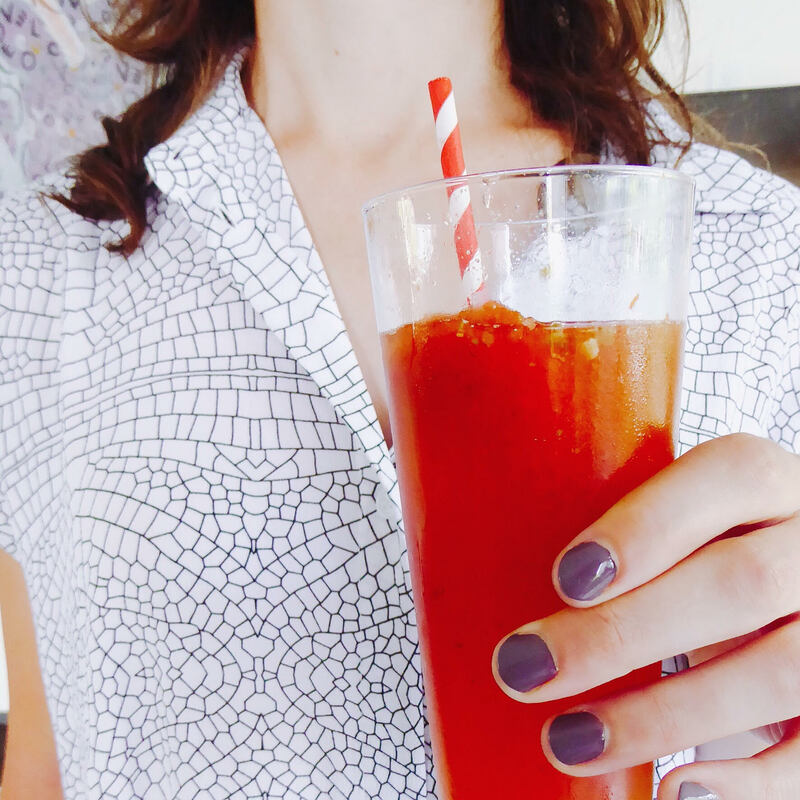 Now for something a little more savory, Spicy Micheladas! Add all of the ingredients into a blender and mix. Pour into popsicle molds or popsicle ziplock baggie and freeze for about 8h. 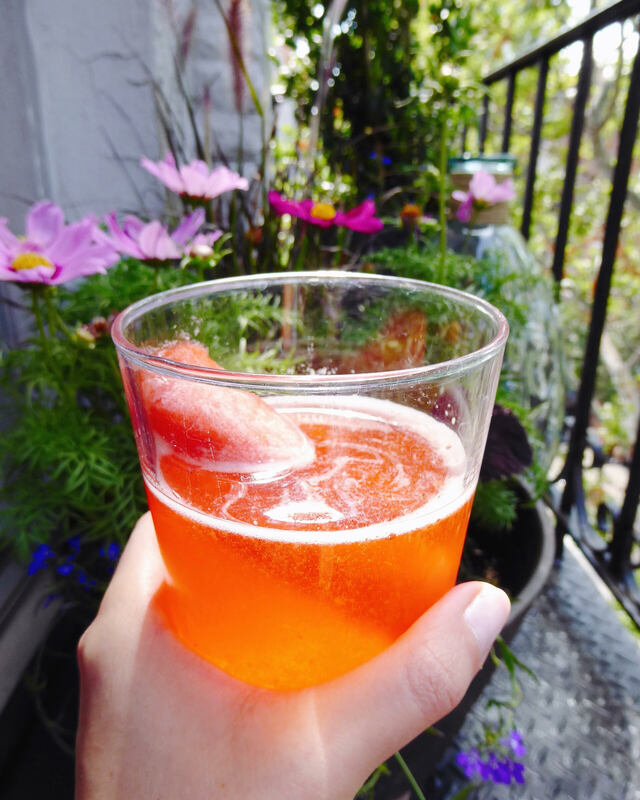 Serve the pop in a cold Mexican style pilsner to make a michelada style frozen drink.